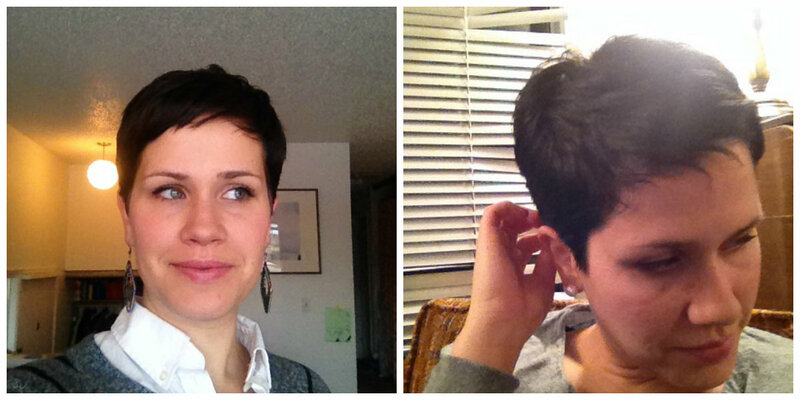 Welcome to the first of several posts I hope to do on having/growing-out my pixie haircut. Woohoo! (Okay, there are SO MANY PICTURES; and I apologize in advance for all of the "bad-quality/just-awkward" cell phone photos). 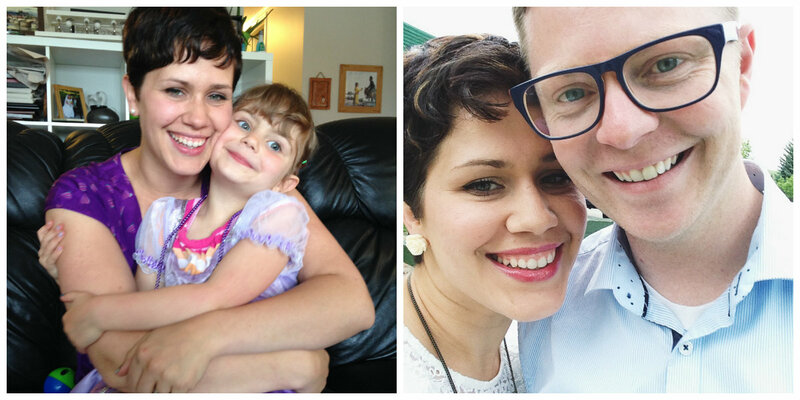 I chopped off all my hair in October of 2013, with the intention of going through the "growing out" process with my sister, Jocelyn, when her hair came back in after chemo was over. 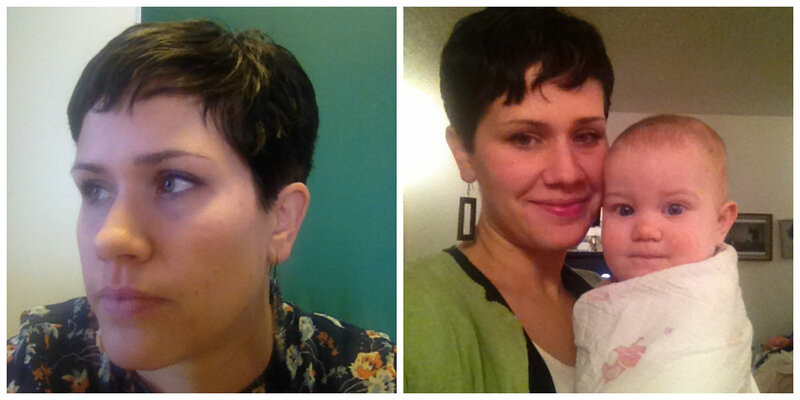 Then she didn't have to go through the torturous process of growing out short hair all by herself. Ha! So whether I actually looked good with short hair or not was kind of irrelevant...but, also? I didn't really want to be walking around looking super-awful, either, knowwhatImean? Ha! I would have shaved my head for her, but my husband basically had me pledge a no-shaving head oath before he'd marry me (weird, right? ), so no shaving for me. 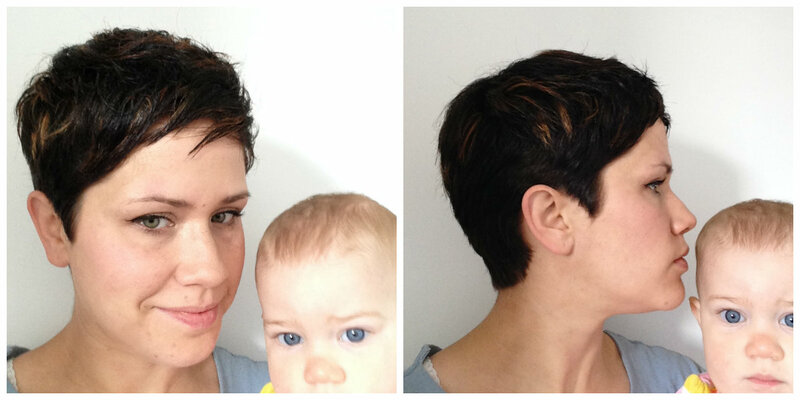 I gathered inspiration for cuts and styles on my Pinterest board. While I was researching hair cuts, I could not get enough pictures of the same cut, styled different ways...so I tried to take a LOT of pictures of myself, no matter how bad I stunk at selfies, so that someday I could offer the same to someone thinking of making the cut... (harhar.). Anyways, I donated the locks I cut off, and went through a few stages of lengths before I found my favourite. Oh, man. Getting my hair cut initially freaked me riiiight out. 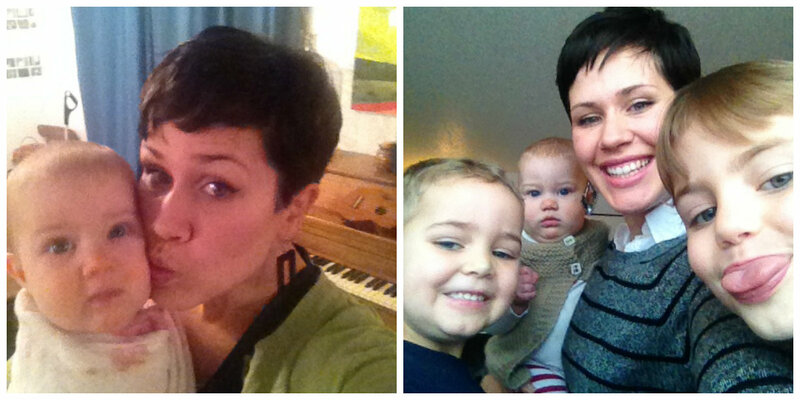 And I am not super panicky about hair cuts and such! I've been pretty brave and experimental in my hair-do history. 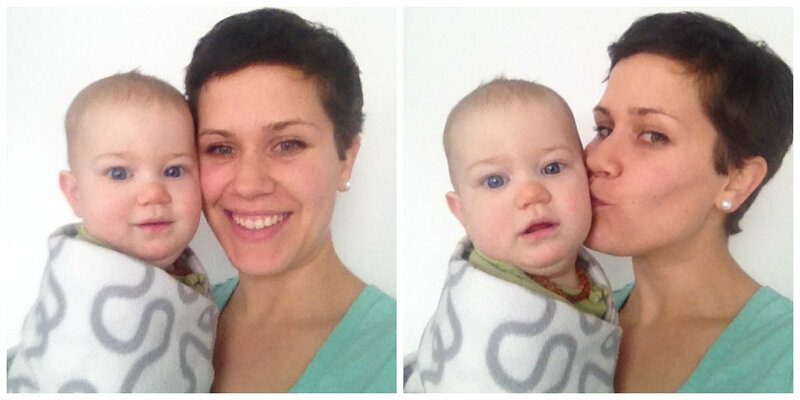 SO when I came home post-chop and would not let anyone (even my mom!) see it until I had stopped panic-laughing (crazy eyes included)... and re-did it myself...it's saying something, y'know? My Instagram announcement picture. I was too scared to even show all of it for a few days. Ha! BUT!!! I calmed down, learned to do it my way, and it wasn't so bad after all. Phewf! 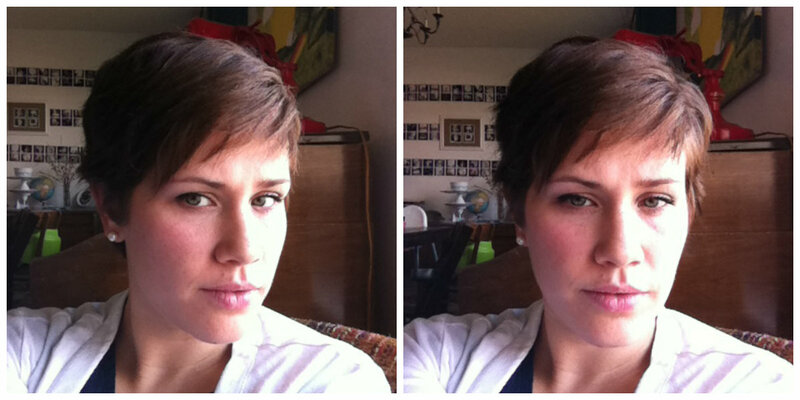 What was so scary about the initial cut was that it was just...so...poofy and (ahem) too mature for me. It kind of made me look 40, I thought. And while there's nothing wrong with being 40, there is something not-awesome about looking 40 when you're not even 30 yet. My hair is naturally curly, dry and coarse...so it just wanted to frizz out EVERYWHERE ALL THE TIME. Plus, I didn't like the length at the neck and ears. Drove me a little crazy, though I do love the look on other people. I just found it bothered me. 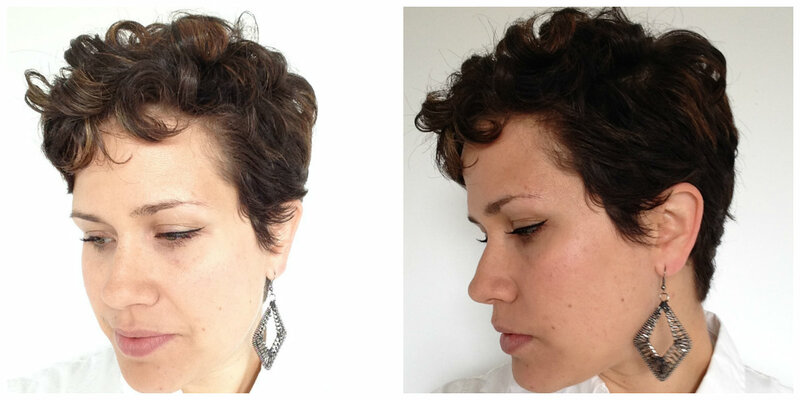 Luckily, I googled "how to tame poofy pixie cut" (or something like that) and found a lot of styling help. Phewf. Thank heavens for other poofy-headed ladies out there! And YouTube. And I would usually straighten it once dried because I wasn't sure how to manage the natural curl yet. These photos of the initial cut are all from post-YouTube-tips, so they don't look as bad as it did walking out of the salon. Too bad I don't have pictures of that...because you probably would have gotten a great laugh from it! While I was grateful I had figured out how to beat my curly, poofy hair into submission, it took a lot of work and attention to do my hair at that initial length...which was so NOT what I was hoping for. I think I thought that less hair means less time doing it. Makes sense, right? It felt like my hair had been cut riiiiight at the length that would have been driving me crazy during "grow-out time"...and the length around my ears and back of my head was bothering me. I went and got the sides and back trimmed a lot shorter, still keeping it a little longer on the top. This length totally worked for me! It was SO easy to take care of, and it was generally flattering. I kept it maintained at this length for a few months, with haircuts every 6 weeks. THAT was an adjustment...but I lucked out in that I could get away with going to the nearest discount "Ultracuts." 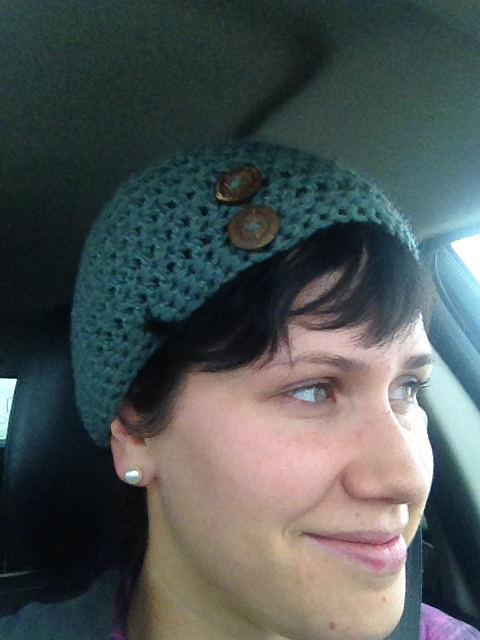 This was also the super-short length I wanted to stay at until my Jocelyn caught up. She passed away it February, but I didn't decide to start growing it out until a few months later. Deciding to grow it out was a little emotional for me. 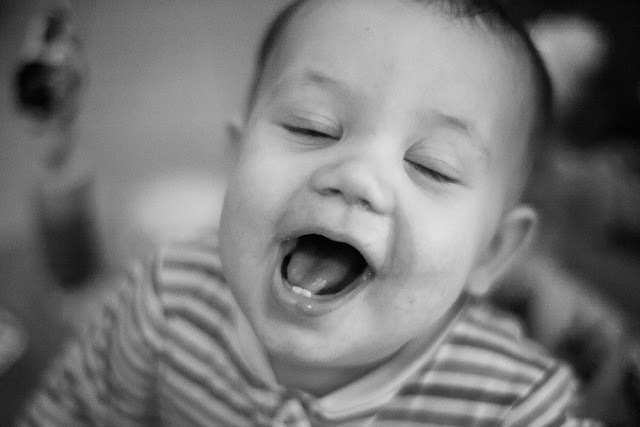 But, as silly as it sounds, it's a process also helps me feel closer to her. I'm sure she's rooting me on...and also laughing about "dodging that bullet" with her now-perfect heaven hair. ;) I like to think that, anyways. I'd say it was around April-May of this year (6 months after the initial chop) that I skipped a regular trim, starting wearing lots of headbands and headscarves to hide the awkwardness of various lengths, and (upon going in for my first trim in a while) told my hairdresser that I was starting the grow-out! This was where I started going to a more skilled and experienced hairdresser as well. The above photo is the first trim after the decision to start the grow-out process: trimmed around the neck and ears, but kept a lot more length (and added highlights!) on top than I had previously. 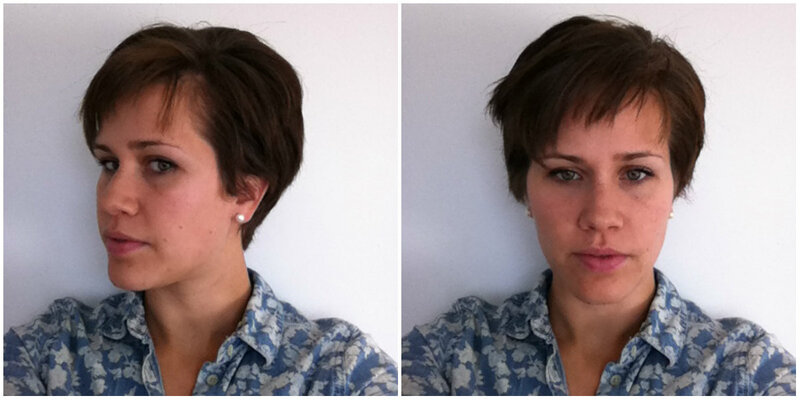 The growing out length on top drives me a little crazy sometimes, but lets me play around with it a little more. Like curling it! I wear headscarves or headbands A LOT...daily, even. It's my equivalent of a ponytail, and an essential accessory for growing out a pixie cut, in my humble opinion. I also happen to think they're cute...and make me feel a little more girly on the days I want to feel...um, more feminine. 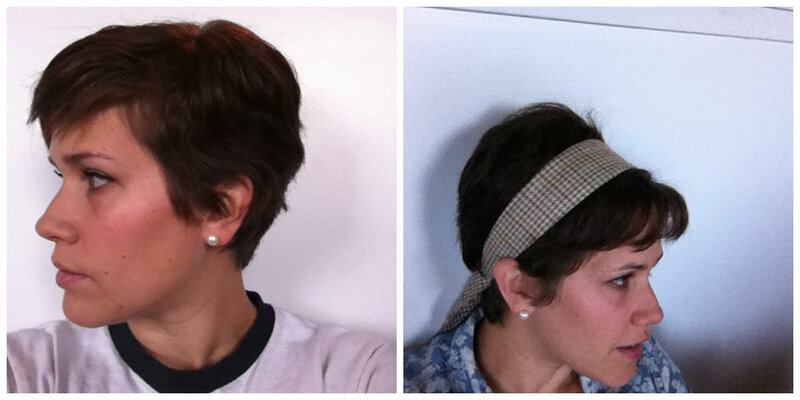 Headscarves/headbands are essential...and short hair gives the BEST morning hair. Like I've said before, it's the length around my ears and neck that drives me the most crazy while growing it out. 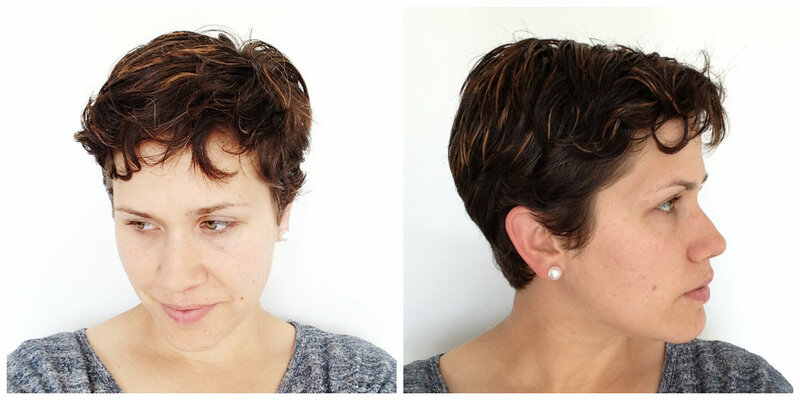 Luckily my awesome sister-in-law hairdresser works with me. See how the cut at the top has more length at the top-back? The goal is to head for something kind of like this...then this, maybe. 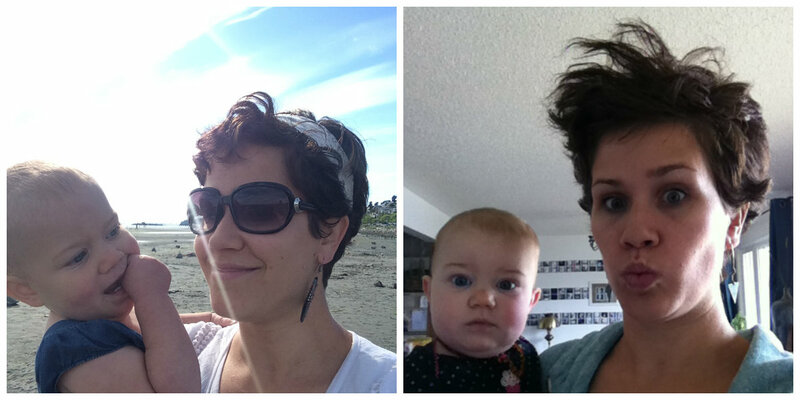 The above collage is the way my hair looks now... pretty much every day, in fact. Ha! This is letting my natural curl do its thang, and just putting a scarf in it. (This scarf is my favourite because black and white. Yum.) 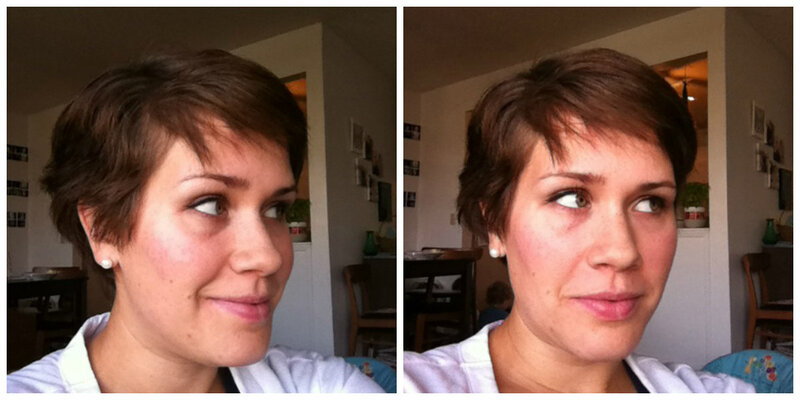 I'm liking this length because it also lends itself to experimenting with curls AND straightening. -Pick a cut that's a little longer than you think you'd like. You can always go shorter. -Just chop it. If it's awesome, AWESOME! If it's not, then really assess what it is that is driving you nuts. Just be prepared for the reality that the first time might not be what works best for you. -Don't freak out until you've watched some YouTube hair tutorials! Ha. -Find a hairdresser that you trust, and that knows what they're doing, and actually LISTENS to you. 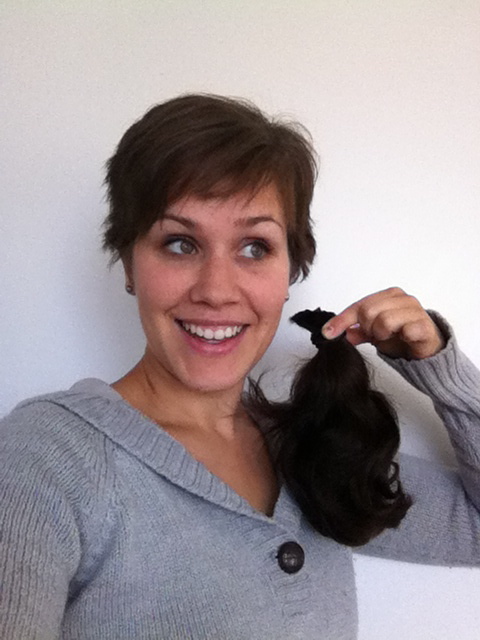 -Understand that growing it out is kind of torturous...but also kind of fun, too! You get to try all sorts of new lengths and hairstyles as a result. How much you love a new length might surprise you...and make you want to keep it that way for a while. -Remember that hair grows! And it grows surprisingly fast, which is especially noticeable at a shorter length. If you're interested, you can keep up with hair updates via Instagram...or stay tuned for more posts in the future as the growing-out process continues! You and I are thinking alike! I'm doing the grow-out too! 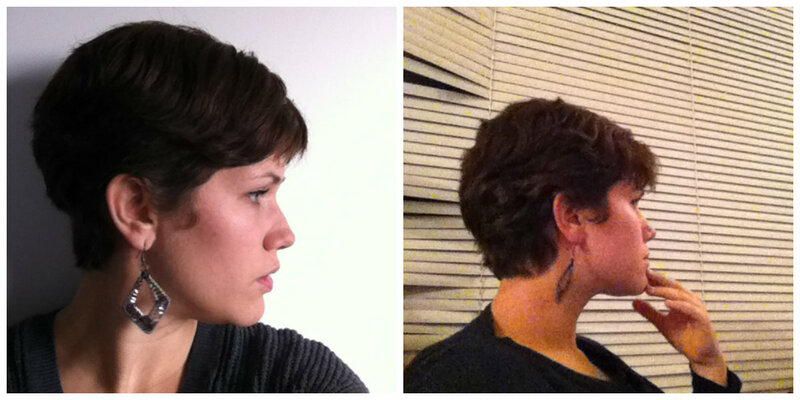 I'm debating chopping off my mini mullet to let the top catch up, but it's not completely awful if I leave it. So torn! Love following the blog. You're amazing. Your hair (and pixie cut) is gorgeous! 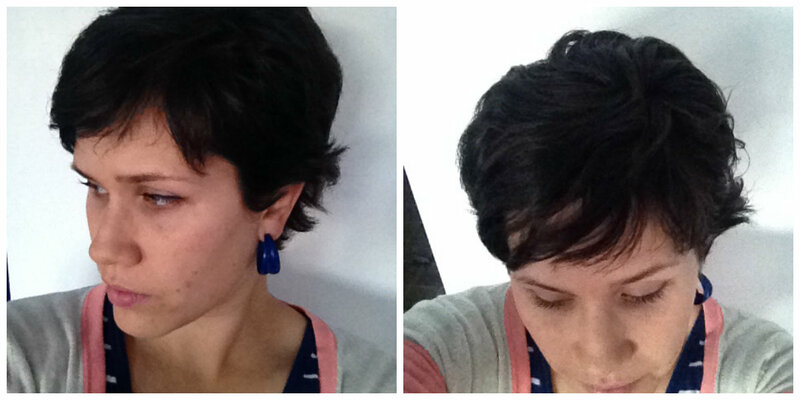 When I go short, I usually opt for a bob - I had one pixie cut in my life and that was a disaster! It looked like I had this teeny, tiny little pinhead! Although that was before the days of YouTube (yes, I'm that old... turning 40 in December - ahem). I know this is an old post but it's worth a shot. Did you ever have problems with the very front of your hair being really dry?? 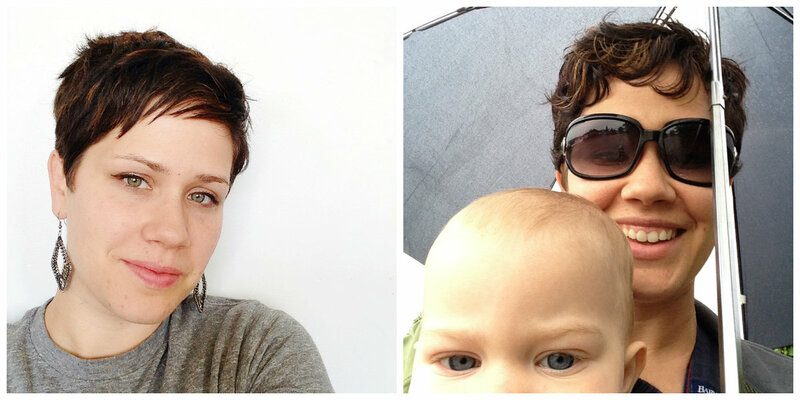 I too have naturally corse, wavy hair and the front of my pixie is soooo poofy. Thanks! Yes! My hair is naturally dry and poofy...the only remedy seems to be putting a bunch of product in and pulling a hat low on my head until it dries a bit, closer to my head! OR busting out the straightener for that section once it's totally dry. Good luck! Can you tell me the length of your shortest pixie?